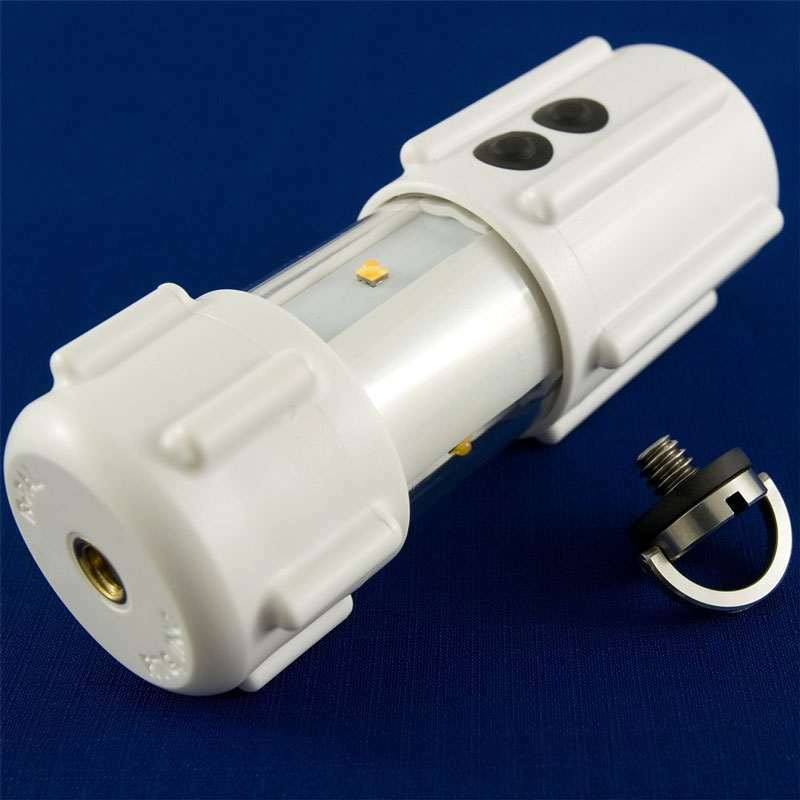 The R-PAL palm-sized lantern comes with 3 CREE XLamp XBD LEDs that provide a minimum of 300 lumens of brightness, and a piece of paper taped over them warning you not to look directly into their light. Like your teachers on solar eclipse days. Don't be that kid who can't resist. R-PAL in hand, I was that kid yesterday. Floaters aren't so bad though. They're like my own private meteor shower in my eyeballs. 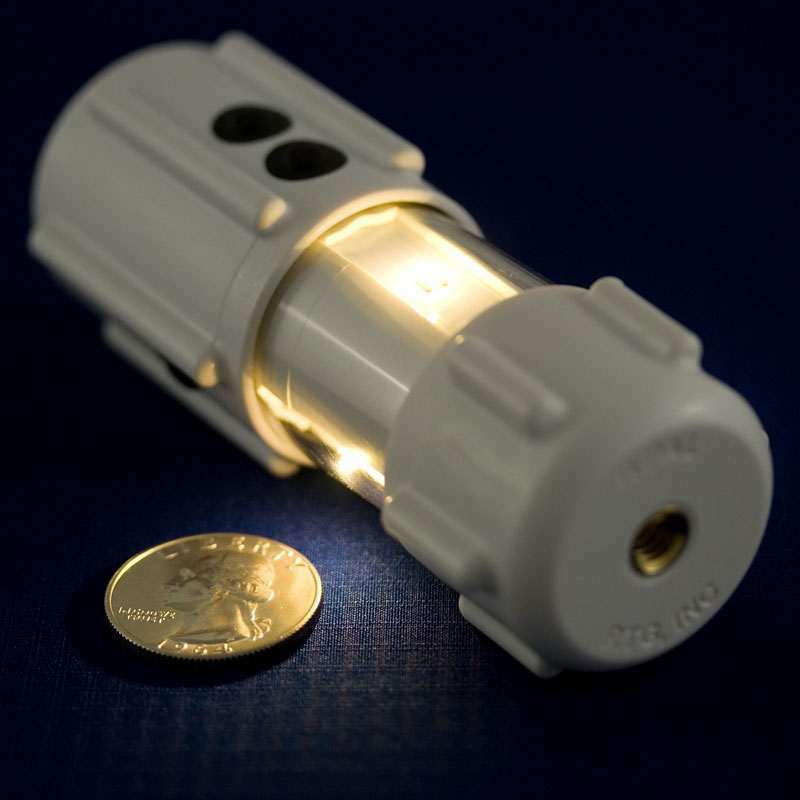 At just 1.6" in diameter and 4.1" long, the R-PAL outputs light both powerful and adjustable, plus has flashing and SOS modes. It carries in and clips easily to a pocket or backpack, and a pair of push buttons control its 15 settings over a 100:1 range. Unlike a flashlight, the R-PAL lantern is also capable of providing 360 degrees of illumination, making it a good companion for anywhere from tents to under-sink cabinets. R-PAL enclosures are made of advanced polymers suitable for use in -4 to 104 degrees F. They are waterproof and shockproof, with an IP67 rating and ability to withstand a 1-1/2 meter drop. 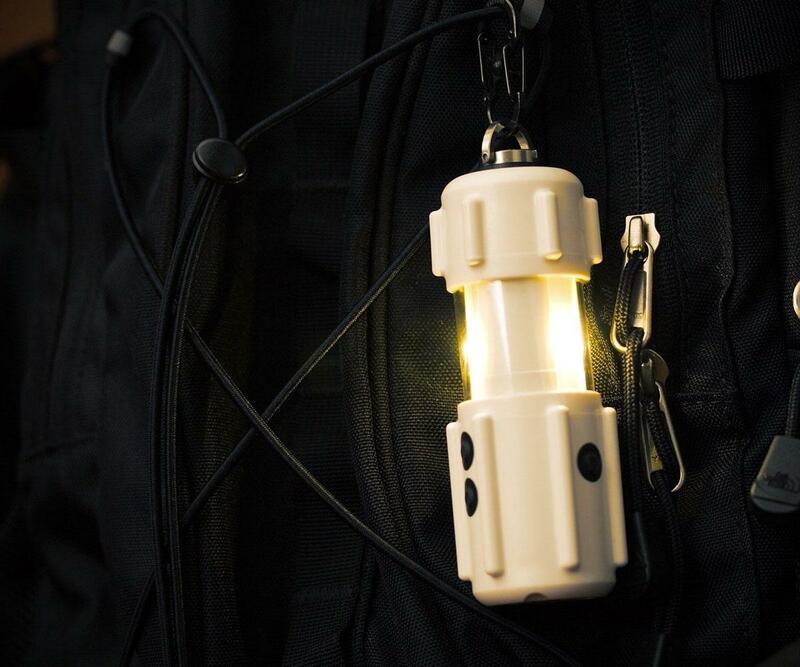 The lights are powered by a single rechargeable 18650B Protected Lithium Ion battery (not included in purchase).